Transform, protect and improve the appearance of skin with TEMPTU’s most advanced professional airbrush foundation. Skin appears healthier, younger and more radiant-looking with this long-wear, transfer and water-resistant formula that is 4x more hydrating than Hyaluronic Acid. This semi-matte, fast-drying formula delivers the most natural skin-like finish and offers buildable coverage – sheer, medium or full. 19 ready to use or custom blendable shades to cover skin tones from fair to deep and undertones from cool, neutral to warm. I love how hydrating this formula is. My skin is dry in the winter and I saw a significant difference when I started to use this. This is one of the best foundations in the market and easy to use, with either airbrush machine, brush and sponge. This is the only foundation that can really stay through intense workouts or swimming. I’ve tried so many foundations before, including Drugstore to really a High End Brands but nothing with Temptu Hydra Lock’s staying power! 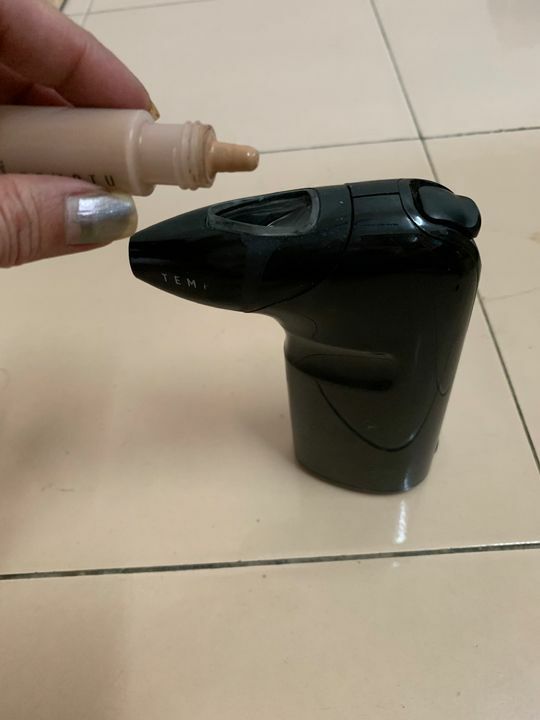 I’ve been using the Hydra Lock or Silksphere foundation with my Temptu Airbrush device and have not been using any other foundations for the last 3 years. I’m 47 years old. Everyone that I’ve tried it on really loves the results too. Recommended for any age! Shartrese R. Reviewed by Shartrese R.
Shanell J. Reviewed by Shanell J.
Coreene C. Reviewed by Coreene C.
I love this stuff on my clients! Rain or shine this stuff lasts all day. Has a semi matte finish so I use it on almost everyone.